The man who jumped out of the walk-in freezer of a popular Manhattan eatery over the weekend brandishing a knife and screaming “Away Satan”was out on bail on charges that he shot and killed two men in 1988, law enforcement authorities said on Monday. 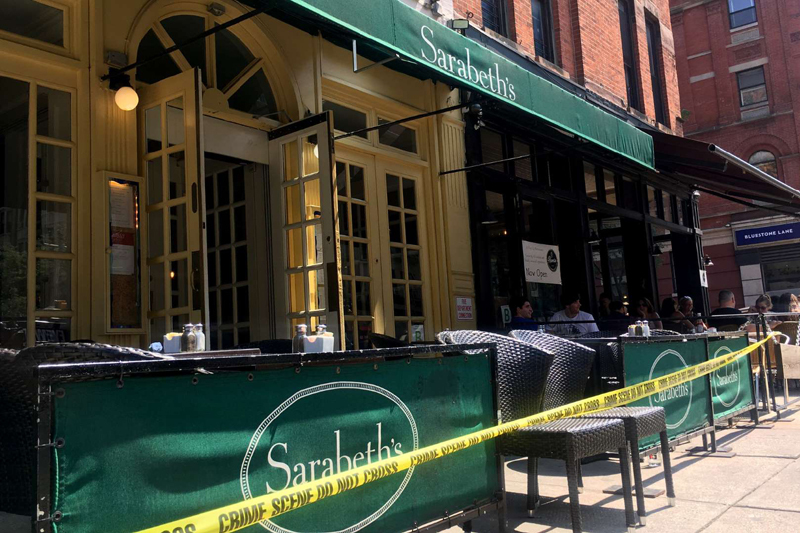 [post_ads]The man, Carlton Henderson, 54, of Cave Creek, Ariz., died on Sunday after he attacked workers at Sarabeth’s on the Upper West Side and suffered what appeared to be a heart attack during the struggle. Mr. Henderson had been charged in the slayings of William Medina, 26, and Antonio Dos Reis, 22, who were shot while sitting in a parked car in Boston on May 7, 1988, according to court records provided by the district attorney’s office in Suffolk County, Massachusetts. The authorities believed the killings were connected to a violent drug-trafficking ring based in San Diego that had extended to other parts of the country, including Boston, the court papers said. Its kingpin, Leslie Rogers, who was killed by Los Angeles police in 1994, was thought to have ordered the slayings, the papers said. The police tracked Mr. Henderson to an Airbnb rental in St. Louis in June 2017, where he was arrested and extradited to Boston to face charges. He was indicted on two counts of first-degree murder based on statements he made to Boston police and federal prosecutors during an interview in 1993, according to the district attorney’s office and the court records. But on July 31, Massachusetts Superior Court Justice Janet L. Sanders ruled that the statements could not be admitted as evidence because Mr. Henderson had given the interview under an agreement with federal prosecutors that prevented his statements from being used against him. Prosecutors objected, arguing that no written agreement was ever found. Justice Sanders released Mr. Henderson’s on his own recognizance, and he promised to return to court on Aug. 14. How he ended up in New York City hiding in a restaurant remains unclear. On Sunday, he popped out of the walk-in freezer at Sarabeth’s on the Upper West Side after a worker opened it. The police said he grabbed a kitchen knife and started attacking workers, who were able to take away the weapon and wrestle him to the ground. On the floor, he slipped out of consciousness and went into cardiac arrest. He was later pronounced dead at the hospital.